The news is out, the two times Oscar winner Ben Affleck, and actress Jennifer Garner is ending their marriage after being married for almost ten long years; just a day after their 10th marriage anniversary. The couple met in 2001 and got married in 2005. Though Ben and his wife Jennifer decided to divorce a year back, there is a certain twist going in their married life. The couple is creating a lot of confusions about their marriage and divorce. However, don't worry about it, we are here to clear all the confusions. 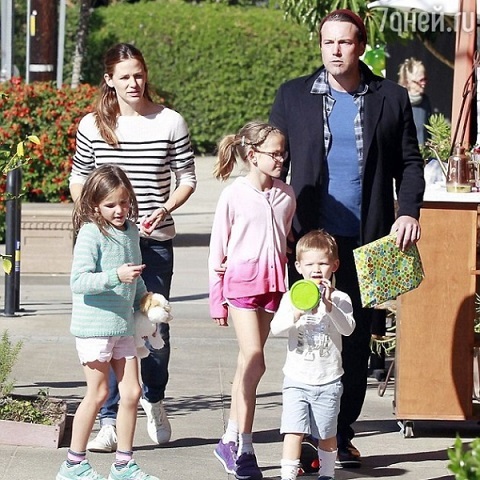 But first, you should know Ben and Jennifer have three beautiful kids, Violet, 9, Seraphina, 6, and Samuel, 3. Well, don't forget to read the full article and find out about Jennifer's married life and divorce. Before getting to know about Ben and Jennifer's divorce news, let me tell you a little about how the couple met and got married. Ben Affleck met his wife Jennifer for the first time on the set of 2001 film Pearl Harbor and started dating each other after they started the movie together in 2003, Daredevil. After dating for two years, the couple finally decided to get married. Actor Ben and actress Jennifer got married on 29 June 2005 which took place in the private Turks and Caicos Ceremony. Canadian actor, Victor Garber and his husband Rainer Andreesen were the only guests on their marriage. Ben and Jennifer announced their separation on June 30, 2015, and according to Jen, Ben had a problem with drinking and gambling was the main reason behind the couple's divorce. According to them, they were not staying together for the last ten months. Ben Affleck and Jennifer were staying separately in the hotels during the trial for their separation. Take a look at what this duo has to say about the divorce. "After much thought and careful consideration, we have made the difficult decision to divorce," "We go forward with love and friendship for one another and a commitment to co-parenting our children whose privacy we ask to be respected during this difficult time." "I want to thank my wife...for working on our marriage for 10 Christmases. It is work, but it's the best kind of work. And there's no one I'd rather work with," he said on stage over two years ago. Here's the video which we have been talking about. Well, this is amazing to hear about the wife from a husband. Well, that's all the past, the couple is no more together. Though they separated in 2015, they filed for divorce jointly in April 2017. Their divorce was finalized in October 2018. Although the couple has already divorced, they share three children together. Their first child, a daughter Violet Anne was born in December 2005. Their second and third child Seraphina "Sera" Rose Elizabeth and Samuel "Sam" Garner was born in January 2009 and February 2012 respectively. In the divorce filings, they filed for a joint custody of their children.